Posted on Thursday, January 25th, 2018 at 6:36 am. 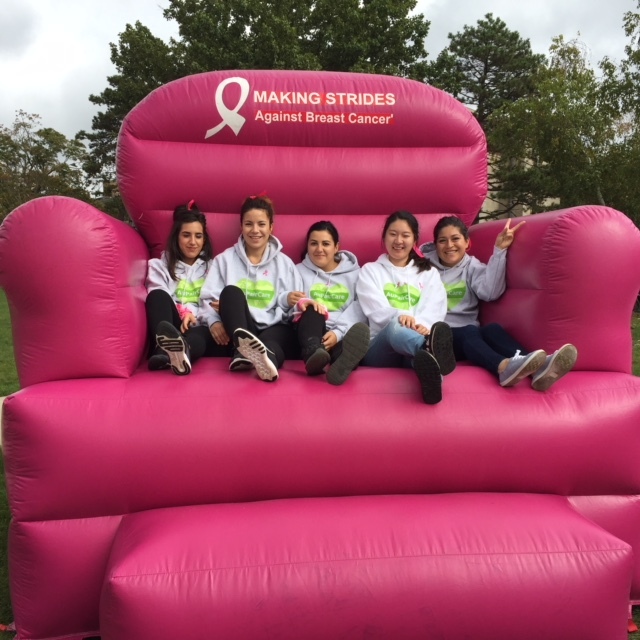 Au pairs celebrating the end of their 5k walk. They were thrilled to take part in such a great cause. 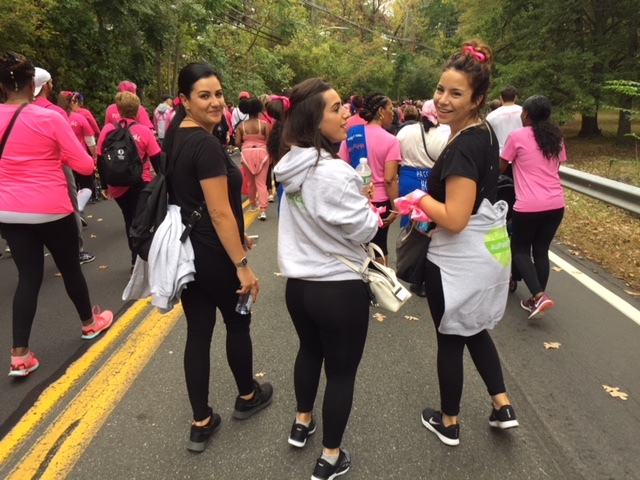 Last fall, AuPairCare au pairs and team members from Westchester County participated in the annual Making Strides Against Breast Cancer walk in Purchase, NY. The au pairs made up a diverse group, being from Spain, Colombia, and China. It was a memorable day, as they had the chance to walk with 20,000 people and raise awareness and funds to save lives from breast cancer. Spanish and Colombian au pairs enjoying the moment – only halfway to go! 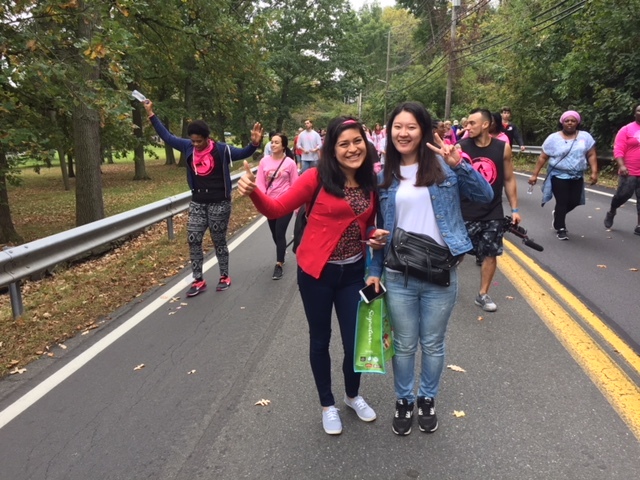 Every year, the non-competitive 5-mile walk brings together people from across the country with the goal to make a difference in the lives of anyone who has been touched by breast cancer. The annual event is organized by the American Cancer Society and aims to raise funds for innovative research, provide free information, and offer support to survivors. Two AuPairCare au pairs on the way to the finish line. They loved being able to give back to their adopted community and support breast cancer survivors.